Teresa Bandrowska, known as one of the original 60 "Michener midwives," recently celebrated her retirement from clinical practice. 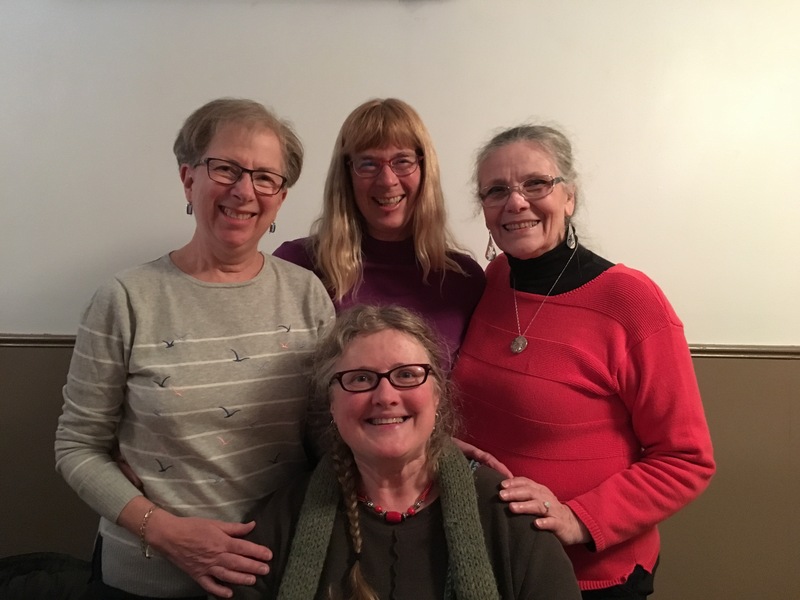 Long-time colleague Bobbi Soderstrom writes of the celebration, "It was a very sweet event with the group singing a song to her and presenting her with an absolutely beautiful piece of art." Another midwifery colleague, Celine Goodrich, commissioned the artwork--a felted wall hanging--from a midwifery client, on behalf of the Midwifery Group of Ottawa. Bandrowska is a well-known and much-loved midwife in the Ottawa community, and continues to serve the community through her work at the Ottawa Birth and Wellness Centre.